One thing I love about Star Trek, most of the different series, is the ability to issue voice commands to the ship's computer. The crew is able to use the computer's voice recognition anywhere they go. Amazon has introduced a new and improved Amazon Echo Dot, which is a smaller, stripped down version of the Amazon Echo. The Echo Dot brings the vision of the Star Trek computer closer to reality. The Echo devices are always listening for commands to play music, read books, control your IoT (Internet of Things) device, or even place orders on Amazon. However, the Echo sits quietly in one spot of your home waiting for commands within hearing distance. Once you move to another room, the fun is over. Going back to the Star Trek computer, the characters in the show frequently speak commands to the computer, such as when they enter the turbolift and tell it to take them to the Bridge or Engineering. No buttons needed. There are episodes on Star Trek: TNG where the Chief Engineer runs database queries with voice commands to figure out some obscure cause of problems on the ship. The Echo has been very popular for its ease of use and ability to interact with other services and devices in an almost Star Trek fashion. At home, you can turn lights on or off, check if a window is open, lock a door, or even set your oven to preheat with a simple voice command. You can also use the Echo to order a pizza from Domino's or to hail an Uber car to your door. This is getting very close to the Star Trek vision. 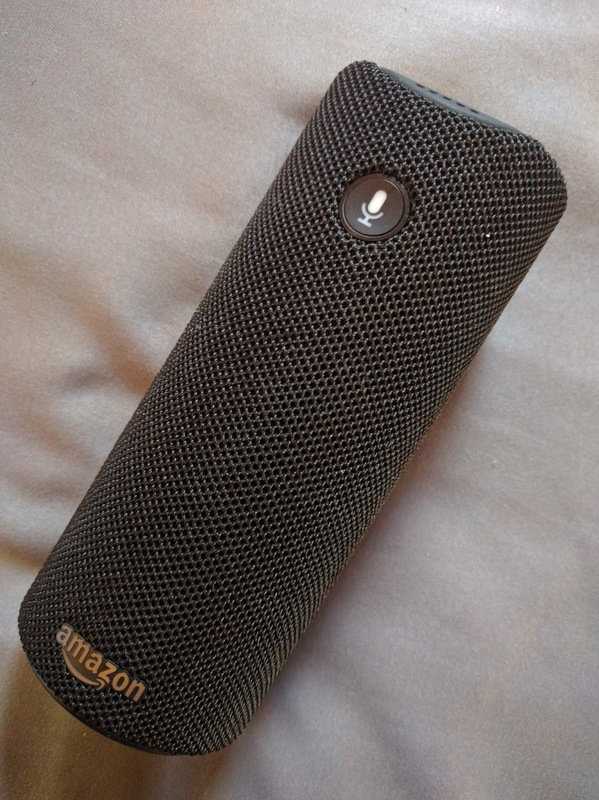 What makes the Echo Dot different from the Echo, or the Echo Tap, is that the Dot is built primarily for listening to commands. The Dot lacks the same speakers that make the Echo and Tap great for listening to music or audio books. Furthermore, the Dot is only $49.99 when available starting in October. This price point is what makes it much more likely that households will have an Echo interface in every room. You COULD buy a regular Echo for every room; but, it would be a tad expensive. The Echo Dot, on the other hand, not so much. As if anticipating that people might do exactly that, Amazon is selling the devices in sets where you buy five and get one free. Alternatively, you can buy a bundle set in what seems like you get the Echo Dot free with the purchase of a complementary device. In our home, we have been playing with home lighting automation through Amazon Echo. We have yet to try other smart devices, such as sensors or receptacles. It is very easy to spend a lot of money on home automation. Granted, it is a one-time cost that would offer years of service. However, you could very easily go overboard in automating things that do not really require automation. Amazon seems to be leading the way for making technology invisible to the end-user. I think this is the sort of thing, like wearables, that electronics consumers have been waiting for. We want to be able to use technology with a minimum of fuss and anywhere we please.